I find some of the best bands in metal are those who are able to take strong influences from the genre staples, but instead of just imitating them straight up, they find ways to incorporate their own unique touches to help stand out from the pack, mixing together modern and classic elements to create something truly special. 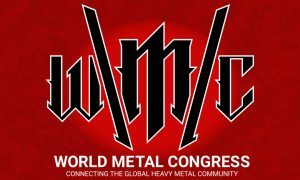 One of the best bands in that respect is German heavy/power metal band Mob Rules, who are set to celebrate their 25th anniversary next year. 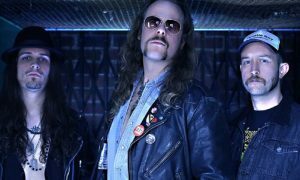 Their sound has gone through a very steady evolution over the years, starting out as a fairly typical German power metal band, before picking up elements of other genres such as classic heavy metal and symphonic metal. Their own signature sound remains fully intact, but over the years they’ve developed a sound that makes me think of what Iron Maiden would have been like if they had been a modern German power metal band, as that’s basically the kind of Sound Mob Rules delivers: A mix of speedy power metal and classic, heavily Maiden infused heavy metal, along with some symphonic elements and some small modern touches to bring the whole thing together. Their last album, Tales From Beyond did an especially great job of showing off each layer of their sound beautifully, and that has continued with their new release Beast Reborn, set for release this coming week. I was a bit nervous at first, because I find the band tends to take big steps forward every second album, and then slowing down with a slightly lesser album in between, but that trend has stopped with Beast Reborn, as it’s another excellent album that fully demonstrates every aspect of the band’s sound perfectly, while also containing some of their best and most direct songwriting quite some time, without sacrificing any of the layers or complexities of their later albums. In fact, it may end up overtaking Among the Gods to become their absolute best album to date! 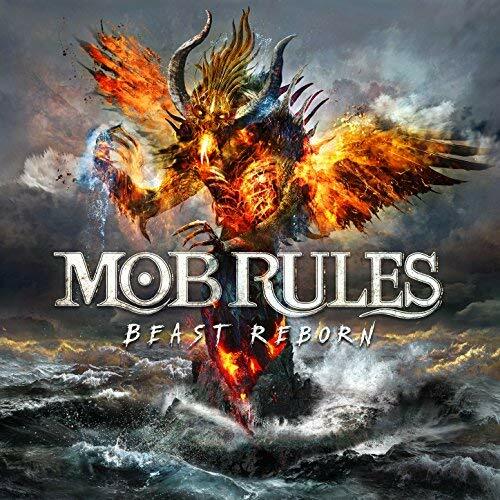 For those unfamiliar with Mob Rules, their sound is rooted in German power metal, as they play a fairly heavy, guitar-driven brand of the genre featuring some heavy riffs, speedy drum patterns, and some very epic melodies and choruses. 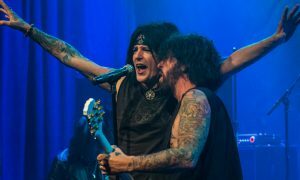 One of their biggest strengths, though, is their ability to channel that classic Maiden guitar sound, but incorporate it into their power metal sound, to give the tracks a mix of the speed and energy fans would expect from the genre, while also having a very classic heavy metal feeling to them. Out of all bands that try to emulate the legends, Mob Rules are perhaps the best at being able to give their music the sort of epic feeling that makes some of the aforementioned band’s longer songs work so well, as they’re excellent at using soft passages to slowly build up to bigger moments, and while their songs are usually fairly straight-forward, there’s usually a lot of layers to the music, including some symphonic elements and keyboards to add some extra flavor. The band strikes a perfect balance between having a lot going on to keep listeners engaged, while also having some of the catchiest and most melodic choruses out of any power metal band, which sure is saying a lot! Well, long introduction aside, Beast Reborn takes all those things and pushes them into overdrive, just like Tales From Beyond did. Fans of that album and the band, in general, should have a good idea of what to expect here, as it demonstrates everything the band is great at and then some. There’s a little something for everyone here, with a few direct, very speedy and intense power metal based tracks, some slower heavy metal tracks, one ballad, some mid-paced tracks that have a nice rhythm to them as well as an epic feel, and two mini-epics that are rather slow building but both develop into amazing tracks. 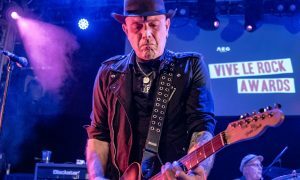 As usual, the guitar leads are the band’s biggest strength, as well as their seemingly infinite supply of incredible choruses, which are in full effect once again. At the same time, the symphonic elements are as present as ever, giving even the less immediately engaging tracks an epic feel that helps make them easier to get into, and for sure the album is as epic as the band has ever been. Songwriting is excellent across the board, and obviously, all musicians are fantastic as always and the production is absolutely perfect, as expected from the band. 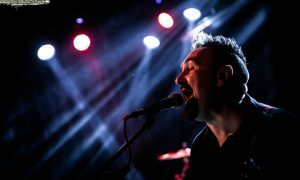 One of the best aspects of the band is the vocals, so it’ll be no surprise for longtime fans to hear Klaus Dirks is still in amazing form, as always. He’s quite varied in his approach, being able to sing with a rather deep and soft voice during some of the quiet moments, while being excellent at adding some intensity at heavier parts, and he can certainly do some classic heavy metal vocals as well as anyone, as well as being excellent at soaring power metal vocals. All aspects of his voice are on full display once again on this album, and he takes some already great choruses and makes them even better, as usual. I tend to be a bit nervous with the band in regards to songwriting, as that’s the one area where it feels like some of their albums are a bit more inspired than others, and after their previous album was one of my favorites, I expected a slight drop off this time around. Thankfully though, that didn’t happen at all, as if anything Beast Reborn may contain an even better batch of songs than Tales From Beyond. After a nice but fairly typical orchestral intro, the explosive opener and lead single “Ghost of a Chance” kicks in, and it certainly reminds me of a particularly Maiden track, but in an awesome way! 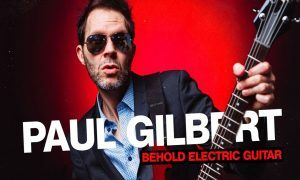 It’s a speedy power metal track, with some excellent guitar leads, fun verses and a huge, extremely epic and catchy chorus which instantly shows off the band’s amazing songwriting skills. 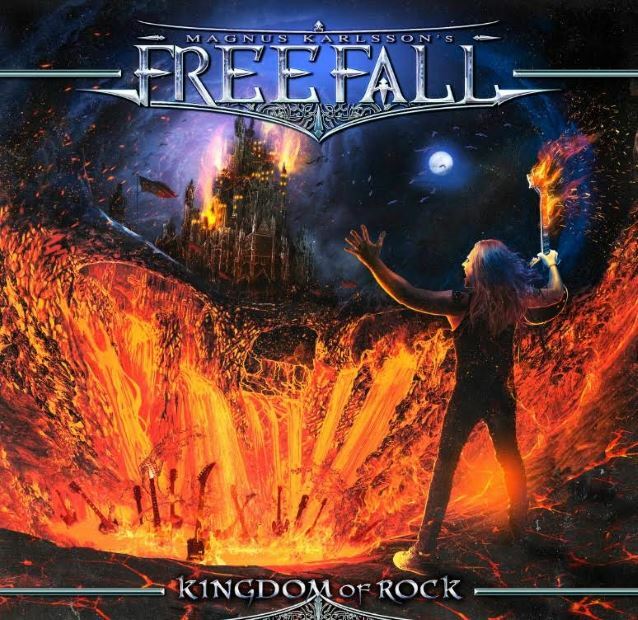 The solo section is energetic and fun as usual, and overall it’s simply an addictive track, which shows off the band’s speed and energy, as well as their amazing vocal melodies and their ability to blend together elements of power metal and classic heavy metal in the best way possible. Next is “Shores Ahead”, a slightly more restrained track, though it still moves along at a decent pace. It’s the first track where the symphonic elements are more noticeable and help give the song an epic feel. This track effectively has the epic feel and huge melodies of power metal, while being a bit slower than usual and having slight traces of classic metal and some symphonic elements. Its chorus is absolutely incredible and stands out as the highlight of the track, though the verses are also fun, the guitar solo in the second half is melodic and very well done, and overall it’s simply a wonderful track. 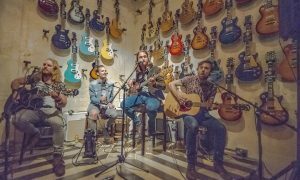 The pace briefly drops off with second single “Sinister Light”, which starts off with a nice, very Maiden inspired acoustic intro, before settling into a nice groove. It’s a mid-paced track with some more excellent melodic guitar tracks, and it’s definitely one of the tracks where that classic heavy metal feel is most prominent, with some heavy riffs and excellent melodies that drive the verses, while the chorus is as huge, melodic and catchy as usual. Things only get even more epic next with “Traveller in Time”, which starts off with a soft, orchestral opening featuring some great vocals from Klaus, before the pace picks up and it turns into a perfect example of everything the band is capable of. 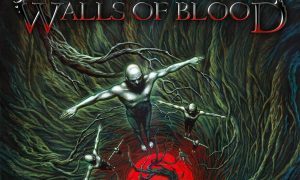 This one track perfectly shows the heavy metal sounding guitars, the power metal tempos and melodies, the epic symphonic metal elements and once again has a phenomenal chorus. The instrumental section is also incredible, and perhaps the best on the entire album, with some absolutely outstanding guitar work. Overall, it’s definitely one of the best on the album. And the highlights only continue with “Children’s Crusade, the third single released. This is one of the most straightforward tracks on the album, being very speedy and having a classic power metal chorus, while having some slight heavy metal touches in the guitars as usual, and being another very energetic and fun track, with fun verses and a great chorus. The first long track on the album comes in the form of “War of Currents”, a very slow building track, which uses some soft acoustic passages early on to set the tone, before slowing developing into an epic heavy metal track with some extra symphonic flavoring to it. 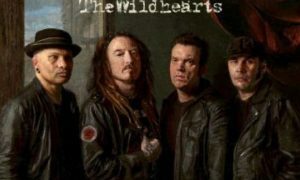 The song gets heavier as it goes along while maintaining an epic feel throughout and having some great melodies, as well as a pretty strong chorus, as usual. It’s the longest on the album and one of the most epic, with another great instrumental section, but it still manages to be pretty fun as well, once it gets going, and it shows the band’s ability to use softer passages effectively to set up for something much more epic and intense. 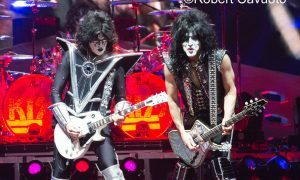 In between the two mini-epics is “The Explorer”, one of the more modern sounding tracks on this album. It’s another fast paced track, but the guitars have an extra edge to them and feel a bit more intense than usual, helping to make the verses even faster and more furious than usual. The music slows down for a soft but very epic and catchy chorus, and overall it’s a great, more straight-forward track which still shows the band’s masterful genre-blending skills while serving as a nice break in between two longer tracks. Which brings us to “Revenant of the Sea”, the second of the two mini-epics. This track again starts off with some nice acoustic sections, which appear frequently throughout the track. It’s a slow paced, but very epic track, which fluidly alternates between calm and heavy sections, with the heavier sections, in particular, coming close to doom metal territory with a very dark and sinister tone. The chorus is melodic and epic as always, and while both tracks are excellent, I’d say this one is the slightly better of the two mini-epics on the album. Next is “Way Back Home”, a slightly faster but still fairly restrained track, with a nice chorus, energetic verses, and some classic heavy metal riffs, as usual. It’s another fun track with a heavy use of symphonic elements and does a great job of giving listeners one more energetic track before the finale. To close out the album, we have “My Sobriety Mind (For Those Who Left)” which is the lone ballad on the album. It’s a very beautiful piano ballad, with some nice symphonic touches in the background. It’s a duet between Klaus and a guest female vocalist, and both of them sound great together, singing with a ton of emotion and helping to make for an amazing chorus. It’s a soft, but excellent way to end the album. 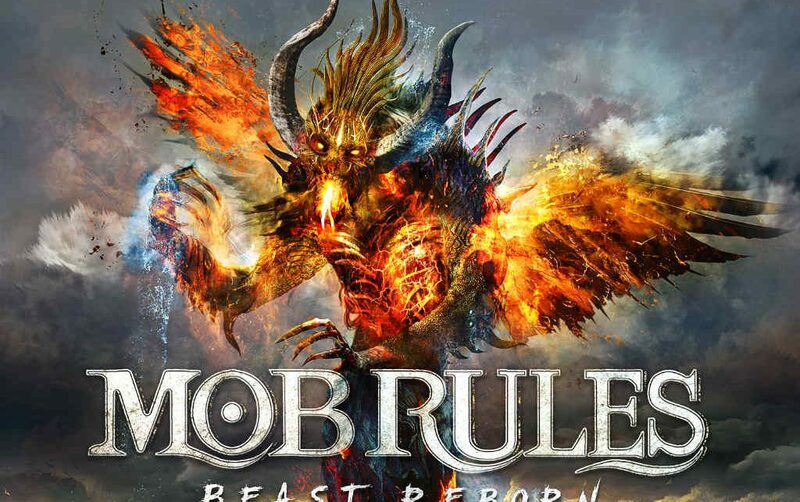 I was preparing myself for Beast Reborn to be a slight step back after the amazing Tales From Beyond, but if anything Mob Rules has given listeners an even better album this time around, once again demonstrating their excellent mix of German power metal and classic heavy metal, while including some epic symphonic elements as usual. The songwriting is amazing across the board, with a mix of catchy choruses, some faster heavy tracks, some more melodic tracks, and everything is very epic as always, while mostly being straight-forward and immediately engaging. This band seems to be at a creative peak as they approach 25 years of existence, so hopefully, they can keep making great music for many more years to come! Magnus Karlsson delivers once again. “Kingdom Of Rock” does its title justice and is an enormous Melodic Metal highlight this autumn. It’s packed with hook-laden songs, outstanding vocal performances by some of the finest voices we have in Rock/Metal right now. Soaring guitars and a top-notch production handled by Jacob Hansen (Volbeat, Pretty Maids). This is a MUST-BUY for each and every metal-head out there. With the length of time a band like Kataklysm has been around, and the wealth of amazing music they have released, one would imagine that they would be one of the foremost Death metals on the tips of the tongues of fans of the genre. And I would say that those who have been following the style forever and explored the deepest, darkest realms of Death metal, know this band quite well.